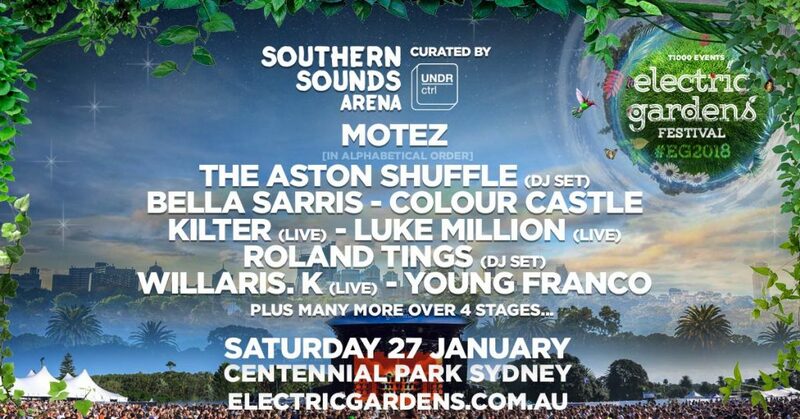 A selection of diverse, contemporary club acts driving the Australian dance scene forward will take to their very own stage at Electric Gardens in Centennial Park this January, dubbed the “Southern Sounds Arena” and programmed by Sydney tastemakers UNDR Ctrl. 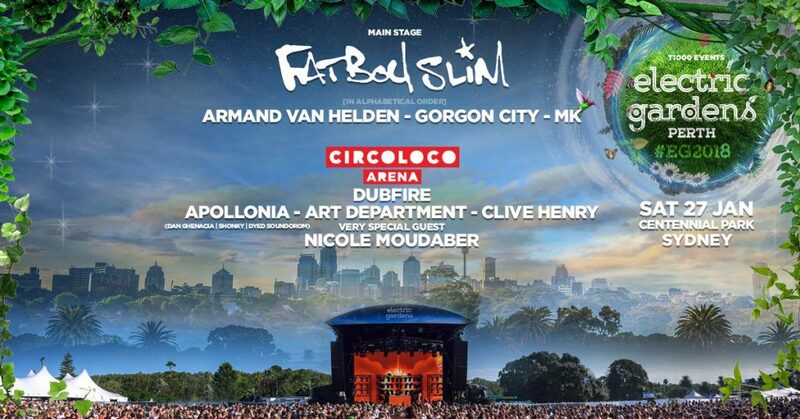 One of the most sought-after party brands in the world, CircoLoco is set to descend on Australia in 2018, announcing a giant arena of international underground talent at Electric Gardens Sydney, and Circoloco dates in Melbourne and Perth. 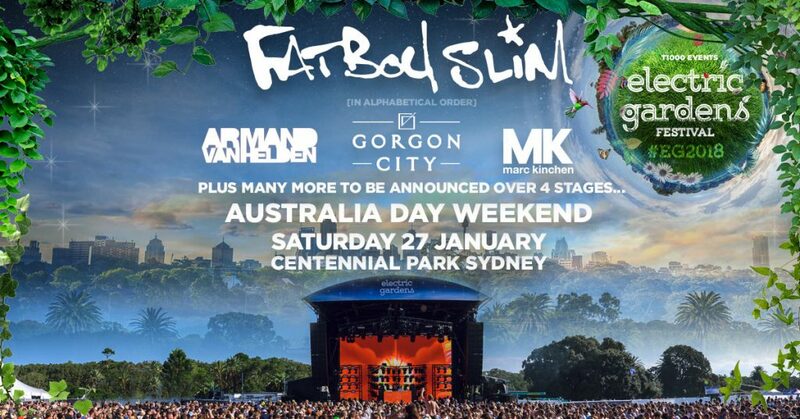 FATBOY SLIM – one of the most influential artists in the dance music world – will officially headline Electric Gardens Brisbane on January 25, 2018. Joining him will be North London sensations GORGON CITY, playing one of their infamous underground DJ sets, with the cherry on the cake by way of US house hero MK. 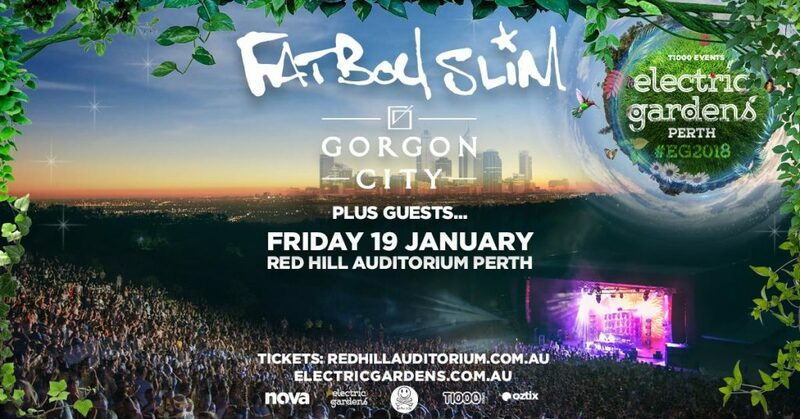 Thousands of Perth electronic music lovers are expected to head to the hills this January 19, 2018, to gather under the stars in the stunning, open-air amphitheater that is Red Hill, for the hugely anticipated return of summer music festival, Electric Gardens now in its third year. 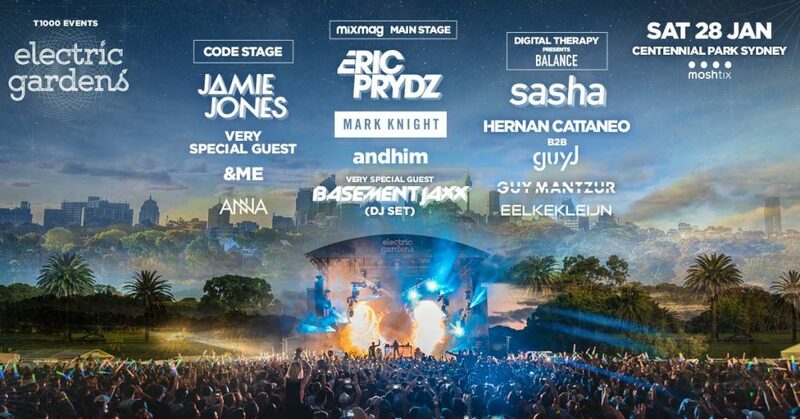 Today, Electric Gardens reveals the first international heavy-hitters confirmed to play the mainstage of their flagship Sydney event, which last year completely sold out, and in 2018 is destined to make a double-sized return, with four separate, musically-themed arenas. Three further rounds of major artists are still to be unveiled in the coming weeks. 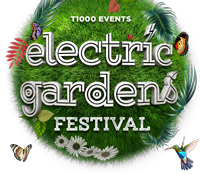 Electric Gardens are thrilled to reveal their first announcement of national dates and venues for their hugely anticipated 2018 event (with further States still to be announced). Electric Gardens are also happy to share that 2018 will be their biggest endeavour yet, with more artists on their line-up than ever before, with four themed stages at the Sydney flagship event. ELECTRIC GARDENS FESTIVAL is ecstatic to announce the final artist to the 2017 line up! 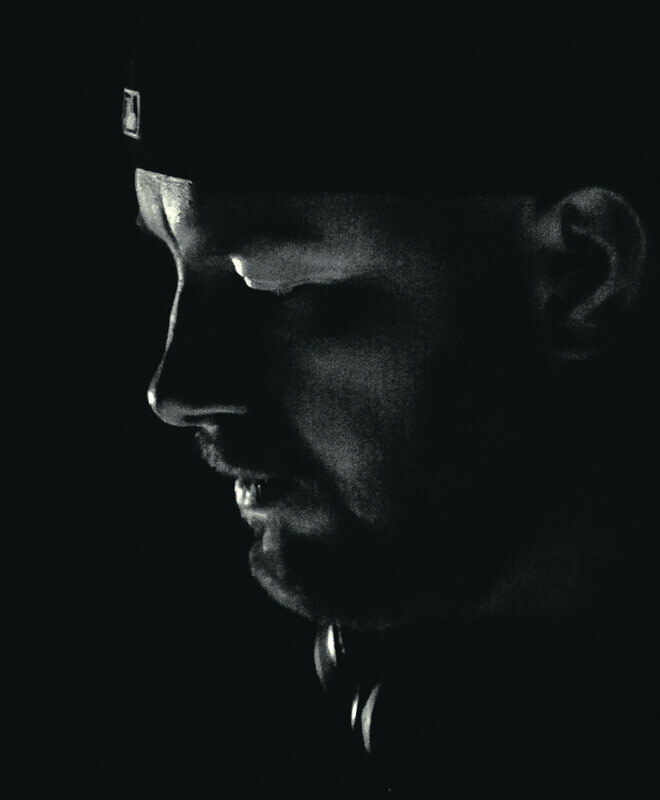 In an Australian FIRST, joining the likes of Jamie Jones, &ME and Anna on the CODE stage will be none other than CIREZ D – the uber cool techno alias of the legendary ERIC PRYDZ. 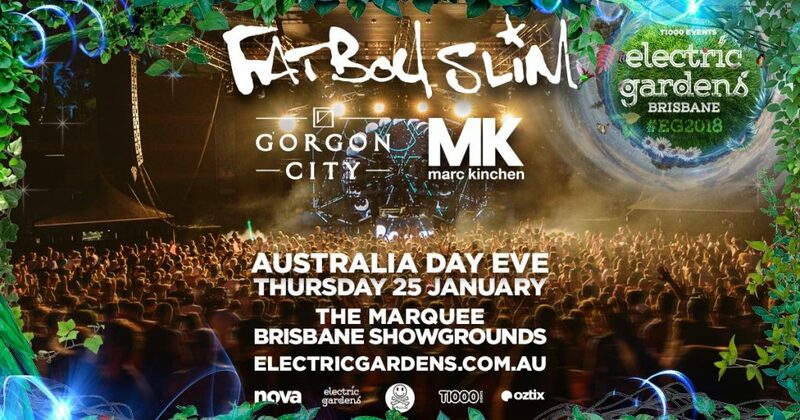 Melbourne prepare to be annihilated on THURSDAY JANUARY 26 as ELECTRIC GARDENS FESTIVAL drops a staggering full line up and an Australian FIRST afterparty that will blow you away. 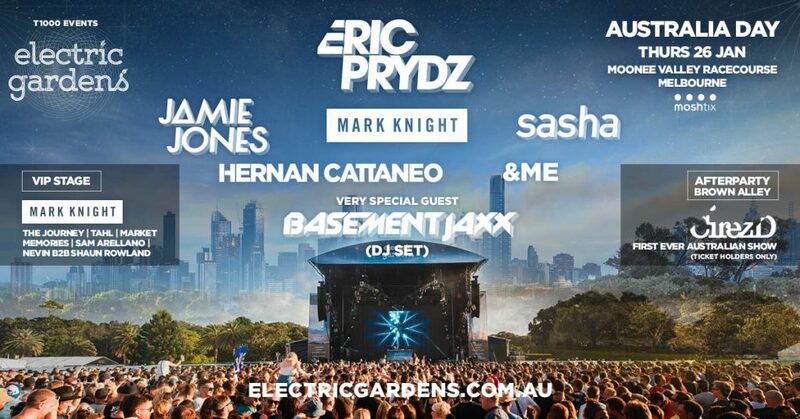 For the second year running, Electric Gardens will return to the lush surrounds of Sydney’s famous subtropical Centennial Parklands and delivers a line up of genre defining talent with names that are revered and renowned for delivering some of the biggest and best sets around the globe. 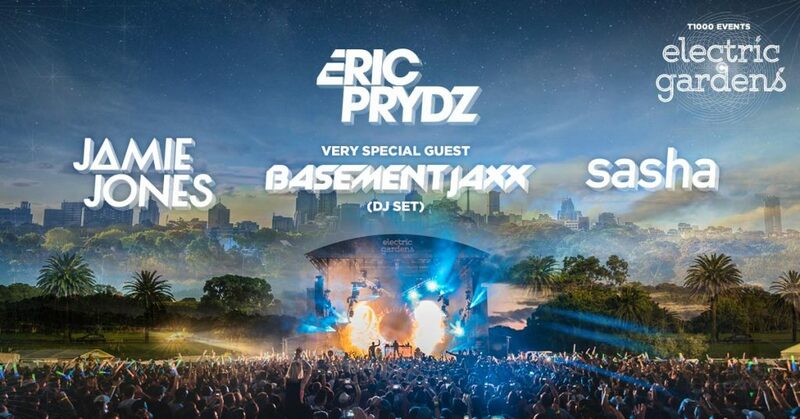 Australia Day weekend 2017 just got a whole lot bigger as JAMIE JONES, SASHA and the phenomenal BASEMENT JAXX (DJ Set) are confirmed to take to the stage along side the legendary house music maestro Eric Prydz in MELBOURNE, SYDNEY and BRISBANE. 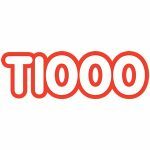 Electric Gardens and T1000 Events announces one of the most prolific remixers of all time! 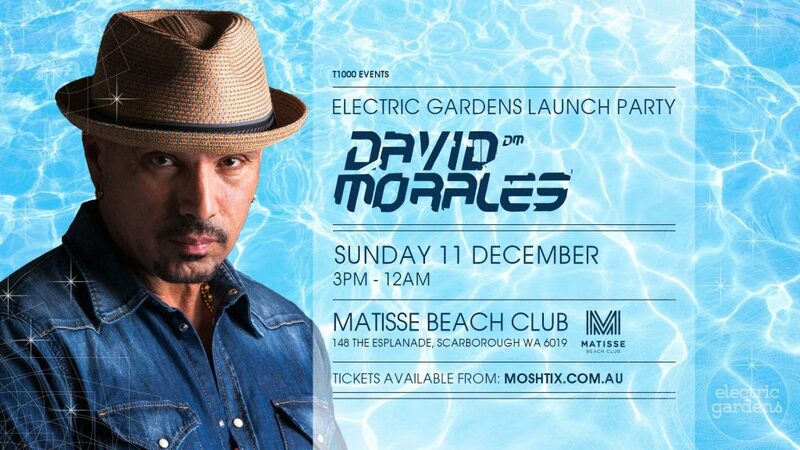 The Grammy award winning and legendary house music superstar DJ David Morales to perform at Matisse Beach Club, Perth, Sunday December 11!